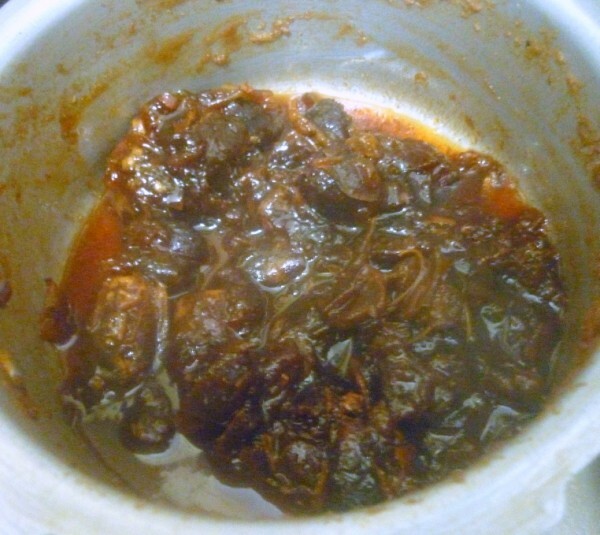 Meetha Chutney or Sweet Dates Tamarind Chutney is one of those mostly widely used chutneys in almost all chats. We can simply make a big box of this and use it on all or any chat and I am sure you will love it more. 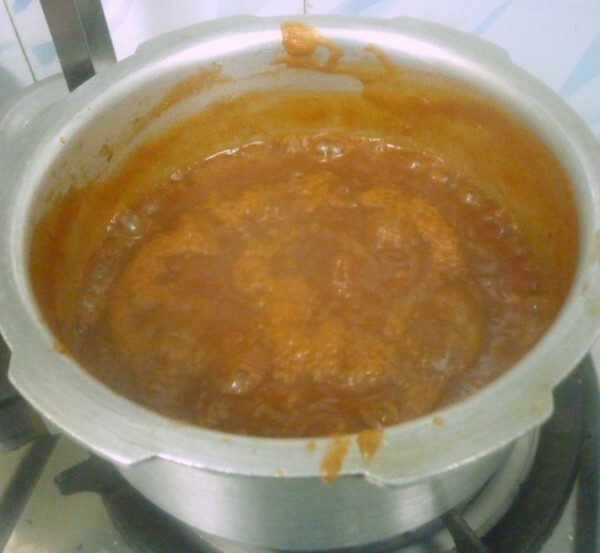 I made this chutney during the chat series and I was able to manage many of the chats that followed. 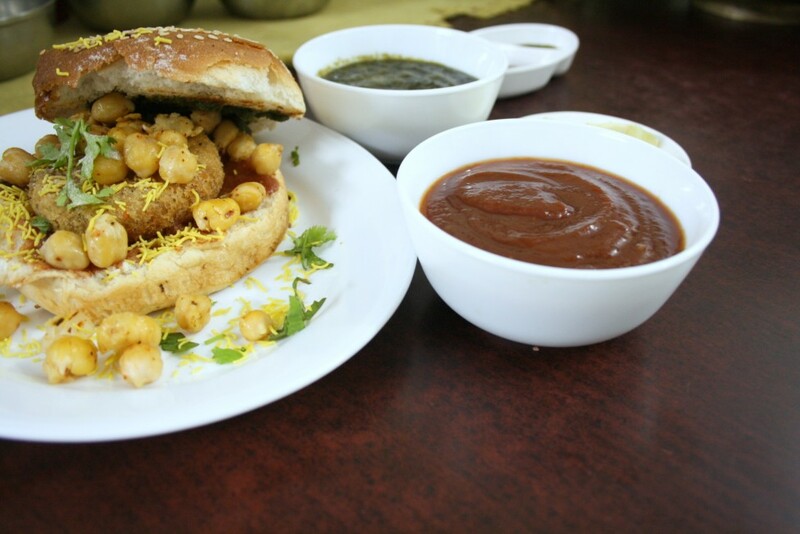 The dabeli tasted awesome more because of this inclusion, not to mention the Burger Tikki Chat or the Vada Pav. Apart from this recipe, I have couple of more variations, each one adding to it’s unique taste. 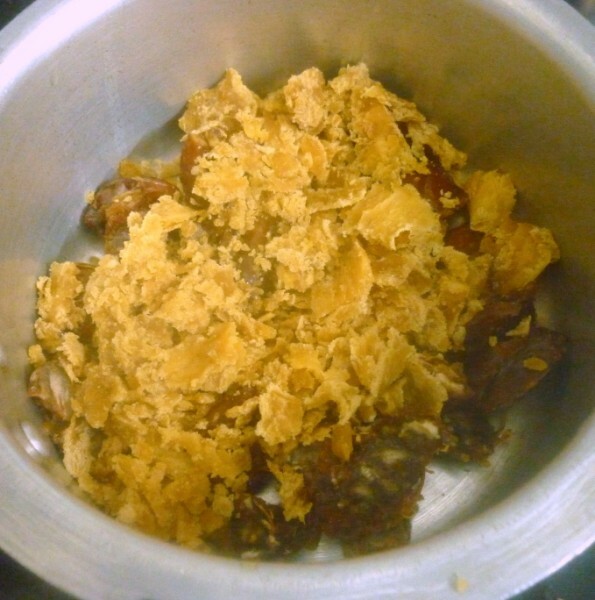 for Bhel I make two types of Imli Chutney, one Tamarind chutney that doesn’t call for much of a chutney and the other with dates and Dry red chilies. 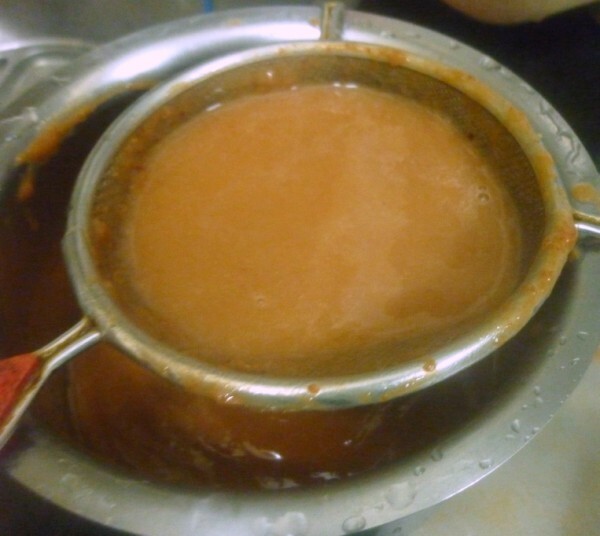 For Samosas, the tamarind chutney that’s made is again different as it has syrup sort of texture. That’s for another day for sure. When I had made these for the chats, Konda loved it. I am waiting for the time when the boys would like it as well. Talking of whom, they again bunked school today and tomorrow being the last working day, I am hoping they will go. Their class teacher said it’s ok since they are so small. She promised to teach them once the school reopens. But I was getting worried not because they are missing out so many lessons, but missing time spent at school. I know there is still time to think about studying. Come Monday we are not sure how to engage the boys. Lucky for me, I will be off to work! Only my ears might bloat when I return home, Athamma will make sure I hear everything of what they did and it will mostly be complaints, so I could miss it I feel. My sil are planning to visit us, so waiting for their visits so that kids can enjoy their stay. That reminds me, we are yet to plan for menus, I am sure hubby dear will decide as he does every year. 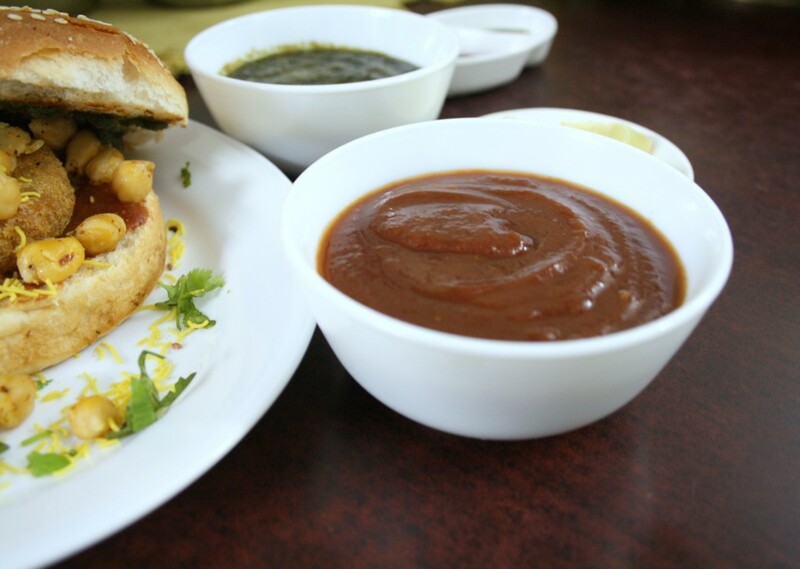 Well enough of my rambling, back to the Meetha Chutney which was sweet enough to make the Vada Pav more tasty! 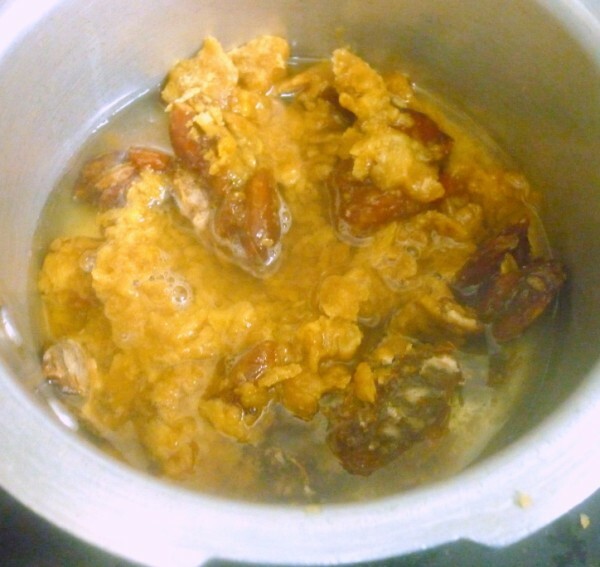 Wash the tamarind and keep it aside. 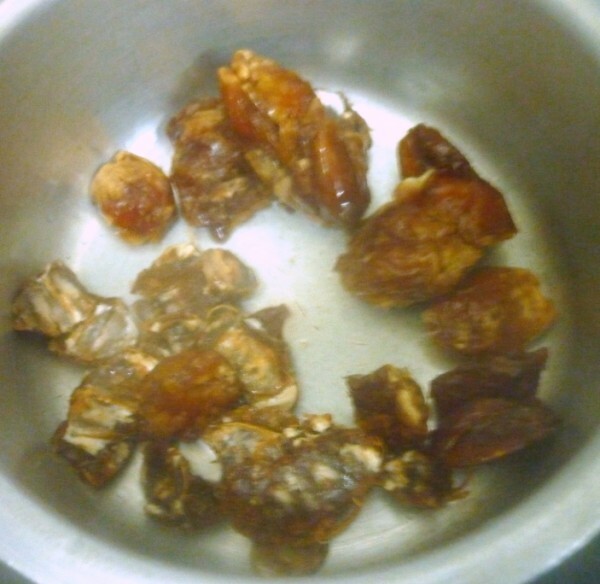 In a pressure cooker, take the tamarind, dates, and jaggary, add water. Pressure cook for 2 -3 whistles. Once done, allow the pressure to fall down. Dilute with more water and put it back to be cooked. Add the spices along with salt Bring to boil. 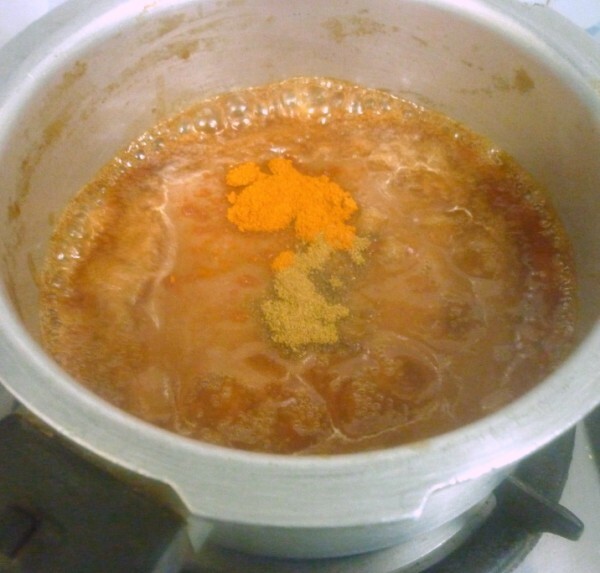 Simmer and continue cooking until you get a smooth paste. Cool and store in an airtight container, use as required. 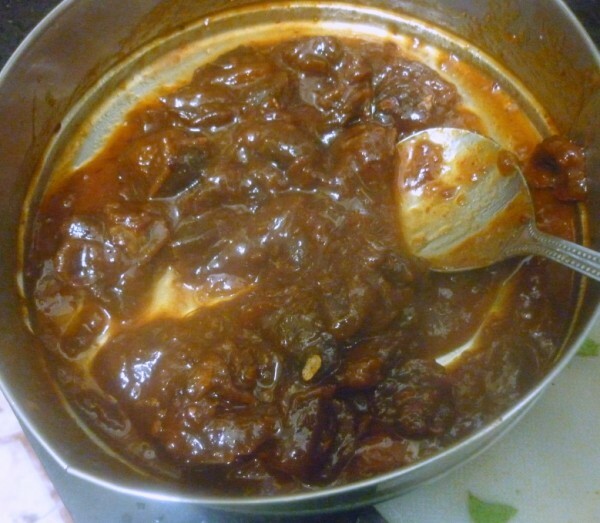 Make sure you cook the chutney for while, so that all the water is evaporated and the chutney is thick. This way on refrigeration, it stays over weeks nearly. It’s been nearly a month since I made this, it’s still fresh and good. My most favourite chutney,love with samosas,am drooling here..Seriously need some samosas to have with it..Delicious visual treat. Love it! I also will be posting my version of this amazing chutney!! 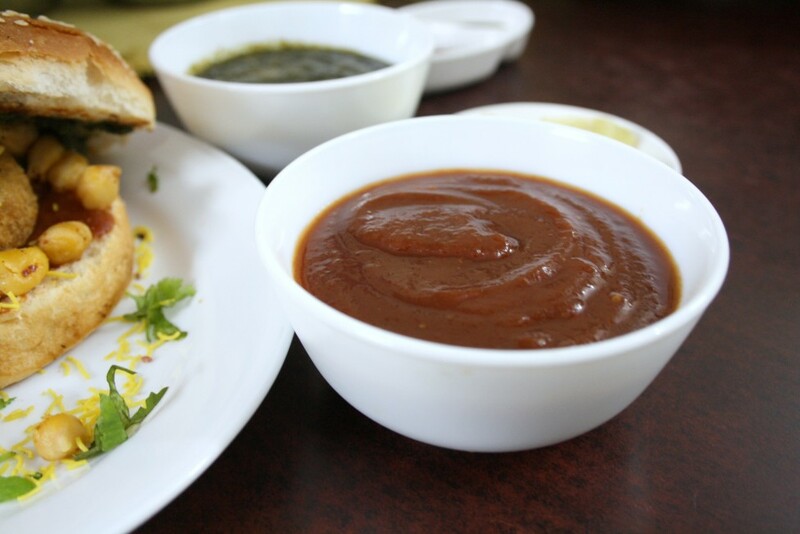 Love this sweet – tart chutney. I recently made this at home for the very first time and loved it.. Tangy, sweet and slightly spicy — its a party in the mouth feeling.